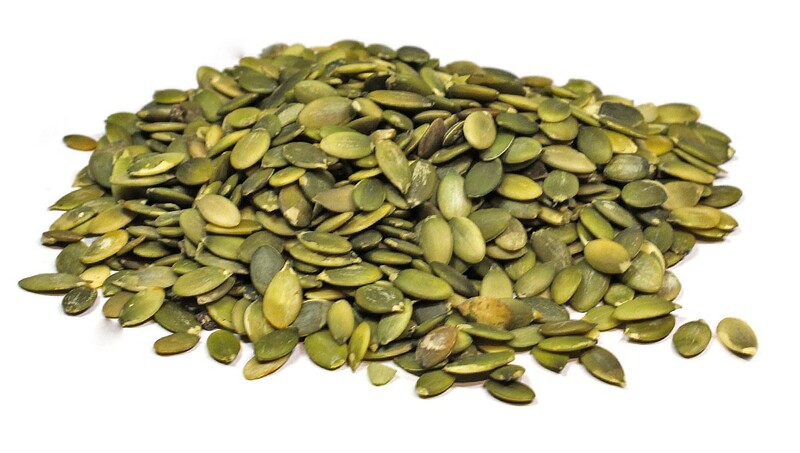 Why You should add Pumpkin Seeds to your diet? They are high in protein and moderately high in fiber. These two nutrients are responsible for the feeling of being 'full' in your stomach. Pumpkin seeds will satiate you, making it less-likely you'll overeat. They are less calorie dense than most nuts and seed, one ounce having approximately 125 calories versus 165 calories for most others. Still be sure to use moderation. You can also add Sunflower seeds to your diet, because they are packed with additional minerals, such as zinc, magnesium, manganese, copper and iron. These nutrients are responsible for energy production, connective tissue formation and nerve function. Also available here. If you want to learn more about Pumpkin seeds, click here for more information.